Have you ever sat in a forest stream? Sunlight coming through the trees. A gentle current of water against your body and the ever so slight sound of its motion. Calm, peaceful, relaxing. Now imagine that same tranquility in the privacy of your bathroom. Stream Bath™. 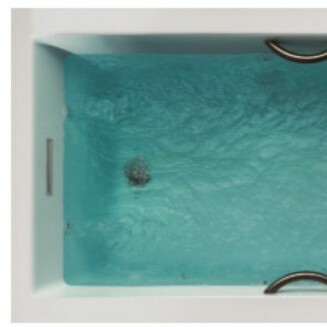 The newest hydrotherapy from MTI. Stream Bath creates a directional, gentle current of water, just as if you were sitting in a stream. No turbulence. No bubbles. Only the touch and sound of a steady stream of slowly moving water to soothe the senses and relax the body. 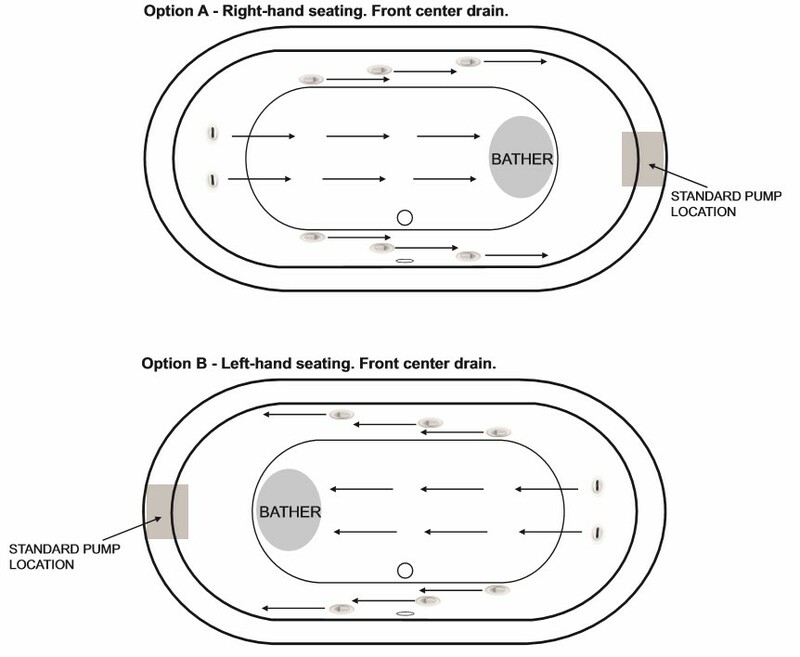 Stream Bath is an entirely new form of hydrotherapy, exclusively with MTI. Not a whirlpool or air bath. Air baths provide a full-body massage from gentle to more vigorous. Stream Bath is neither, and it’s the gentlest of all. The calm, quiet and serenity of a forest stream. Stream bath is so gentle it is ideal for all ages, from the very young to the more senior. Gentle, soothing, relaxing. Think of it as the ultimate soaking tub. Or just a forest stream in your bathroom. Directional vents provide a gentle current of water created by a whisper-quiet pump so you can enjoy the feel and sound of your private stream. 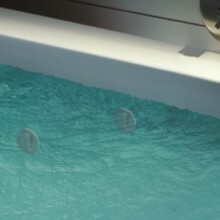 Two slotted end vents, positioned at the end of the tub opposite you, generate parallel streams of water that flow over the top and front of your body. End vents can be rotated 360º and produce a gentle directional flow. Along both sides are asymmetrically positioned vents that can be rotated to direct ribbons of water in unique flow patterns that you create. You can customize the flow to wrap behind your back, or point the side vents toward the surface to create your private "babbling brook". The six side vents are positioned at different heights along both sides and can be adjusted to direct complementary ribbons of water along the sides of your body and around your back. By turning the vents to different angles you can create a gentle rolling effect in your private stream. Stream Bath is a new type of therapy and very different from whirlpools and air baths. The output of whirlpool and air bath jets has direct contact with your body. Stream Bath is quite different. It is designed so that the vents move the water, and your body feels the soothing effects of the water's movement. Just like a stream. 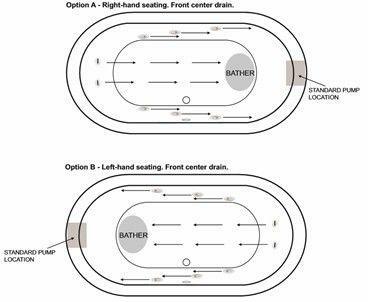 Stream Bath allows you to customize the flow of water to gently wrap your body in multiple ribbons of water, creating your private stream. And with the optional inline heater, the water temperature will be maintained at a most comfortable 104º F, so you won't want to leave. May be ordered with a soaker or air bath package, but not with a whirlpool or combo package. Available for drop-in, undermount and alcove tubs. Not available on freestanding models. An optional inline heater & re-circulating pump is available to maintain the water temperature at a most comfortable 104° F.